A paper gift certificate will be mailed to you. You will need make a reservation separately after you receive a gift certificate. Enjoy gracious hospitality in an oversized King guestroom at O.Henry Hotel, appointed with custom designed furnishings and original art. 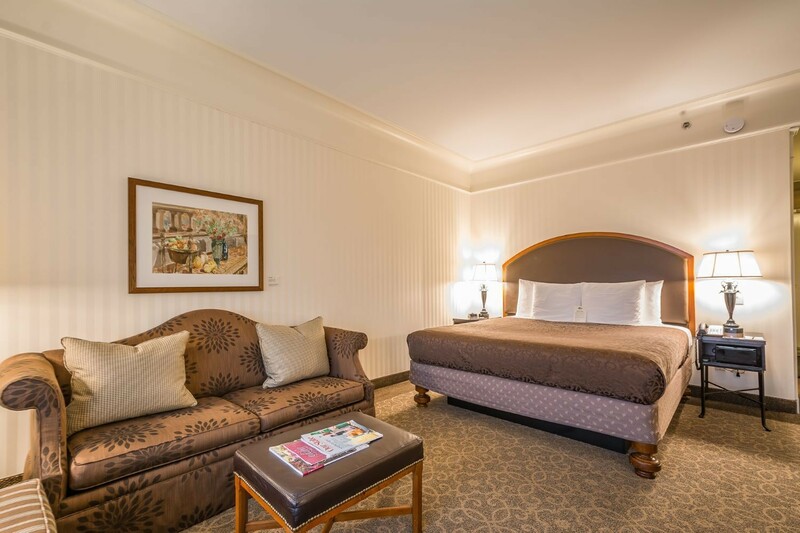 Sleep well in our Magi king bed. Each room is outfitted with a sleeper sofa, armoire with a television, microwave and mini cooler, and ergonomically designed desk and adjustable desk chair. A complimentary, full buffet breakfast is also included. For more on the O.Henry, go to http://www.ohenryhotel.com or call 336-854-2000. Please allow 7-10 business days to receive it. If you need a certificate sooner, please call us at O.Henry Hotel at 336-854-2000.